← YOUR FUTURE AWAITS YOU! Who in the world said that love is always pretty? Love isn’t a bed of roses however, it can possess moments of beauty. The reality is, love has a tendency to get very nasty and extremely ugly. In I John 4:8-9 we learn that, ‘God is love and God showed how much he loved us by sending his one and only Son into the world so that we might have eternal life through him.’ God didn’t send Jesus to Pappadeaux, Grazia, Killeen’s Steak House, nor Perry’s. He sent Him to the battlefield of the law of sin and death. Love was arrested, tried, ridiculed, beaten, slapped, whipped, gorged, betrayed, bruised, denied, sentenced, nailed, and pierced on the Cross so that we could understand that true love isn’t always pretty. 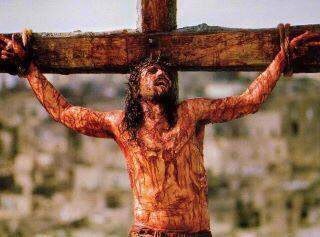 True love requires sacrifice and Jesus is the greatest example we have to follow. John 15:13 reads, ‘There is no greater love than to lay down one’s life for one’s friends.’ One thing is certain true Love bled red and in it contained the key to eternal life.